Lawsuits: Be Careful What You Ask For | North Carolina Fisheries Association, Inc.
Lawsuits. They are expensive, usually time consuming and come with other baggage. Sometimes, however, they are necessary as they are a last resort. Lawsuits are not decided by what’s going right or wrong, but are supposed to be decided by what’s legal or not legal. Our adversaries frequently cite that NCFA files litigation at the drop of a hat. That’s just not the case, as facts will show. We discuss those options often, but most of the time opt not to file for a number of reasons. Sometimes we don’t have “standing” in a legal sense. Sometimes the issue is science based and we feel we just cannot win. And sometimes we just might not be able to afford it. While the number of lawsuits filed where NCFA has been a plaintiff have been few, we’ve won more than we’ve lost, both at the state and federal levels. That’s because we’ve been very selective and had our ducks in a row. The State of New York has recently filed a lawsuit against the federal government about the coastwide summer flounder quota. In place since the early 90s, the Mid Atlantic Fishery Management Council and the Atlantic States Marine Fisheries Commission, after many meetings with stakeholders and countless hours of debate, established state by state quotas based upon summer flounder landings in each state. New York isn’t happy that other states have more quota than they do. To be clear, the quotas were never based upon where the fish were caught, but where they were landed. North Carolina’s share was set at 27.4%. When considering the landings, was it ever assumed that 27.4% of summer flounder for those years in the equation were caught off the North Carolina shore? Certainly not! That’s because our fishermen worked hard fishing for fluke up the Atlantic coast and steaming home to land their catch. It should also be noted that our hard working fishermen were responsible for a considerable amount of quota established for other states. Why? Again it’s because the quotas were established using historical landings in that state, regardless of where caught or what boat caught it. 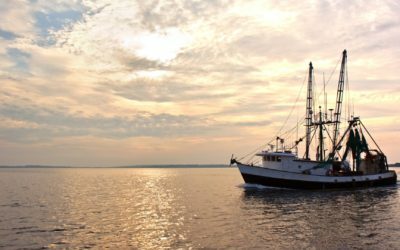 This issue has tremendous economic implications for North Carolina because it’s not just about what a boat its fishermen make, it’s about value added when those fish are landed in North Carolina and processed. 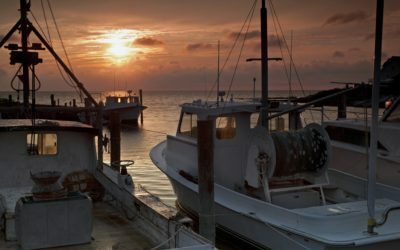 If one takes away the ability to land and process summer flounder in our state, our very infrastructure for the fishing industry is whittled away. I urge you to pay close attention to this issue! In most cases involving these fish battles, it is commercial fishermen vs. “them”. In this case, sad to say, many of our brother fishermen are praising the Governor and others for this litigation that could severely cripple our state’s commercial fishermen and their families. Sometimes one needs to take a timeout and wonder the positives and negatives of legal action. It’s natural to consider what you have to gain when litigating, but it may be more prudent to look at what one has to lose. If we win, do we really? Our adversaries will always be so, but in the process will we lose some friends too? It’s a very old adage, but needs to be said again, “be careful what you ask for”!